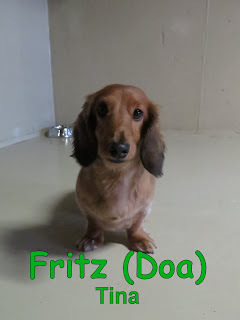 We took great photographs of some of the dogs over the weekend, take a peek! 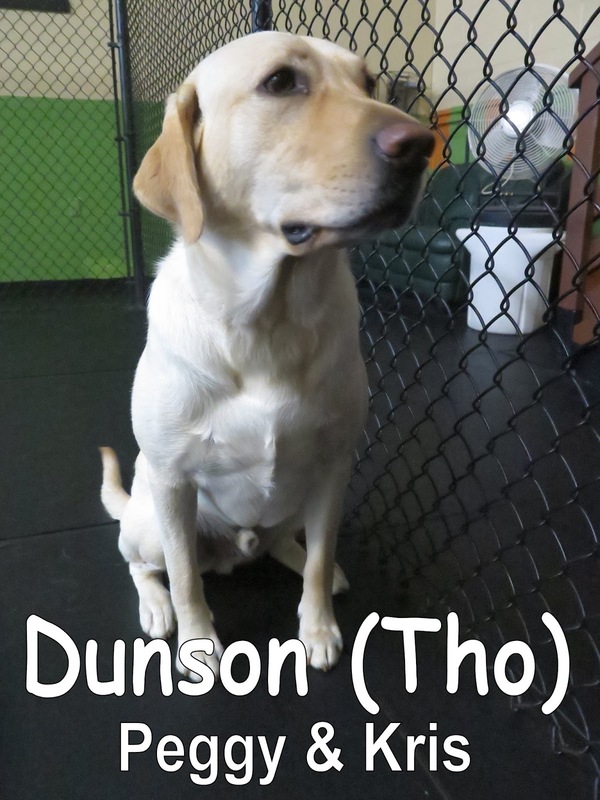 Yesterday, we welcomed Dunson to the Fort. He is a two-year-old, eighty-pound, Yellow Lab. Dunson enjoyed playing with Abby in our Large Dog Program. He "spoke" good dog and had a great first day. We look forward to seeing Dunson again soon. This morning we met Yammo and Moose. 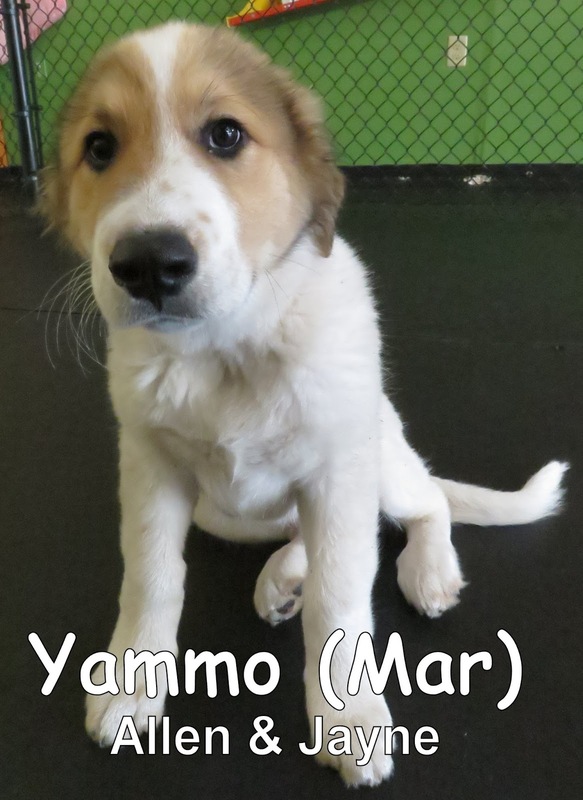 These adorable, twelve-week-old, thirty-pound, Great Pyrenees pups joined our Medium Dog Program. Yammo and Moose had a good time mingling with the other dogs and exploring their new surroundings. They are both welcome back anytime. 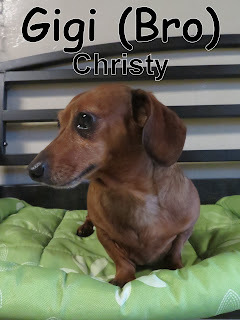 We started Tuesday morning's assessment with three Dachshunds trotting through our door; our hearts melted instantly when we caught site of them. Gigi, Mundy, and Cedar Rose are all very unique, happy dogs that were all rescued by their owner five or more years ago. 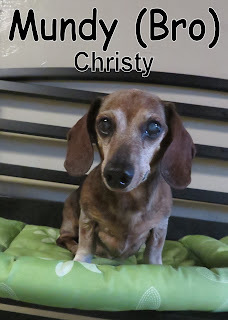 Gigi is eight years old and weighs eleven pounds. she loves her sister, Cedar Rose. Those two were like peas in a pod. old and weighs thirteen pounds. 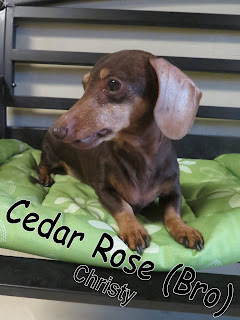 And last but not least, let me introduce you to Cedar Rose. Cedar Rose weighs nine pounds and just turned tweleve years old. This confident girl was the one I was talking about earlier, who Gigi adores. Gigi, Mundy, and Cedar Rose are welcome back to The Fort any time. Today, we got a chance to check out Tucker. 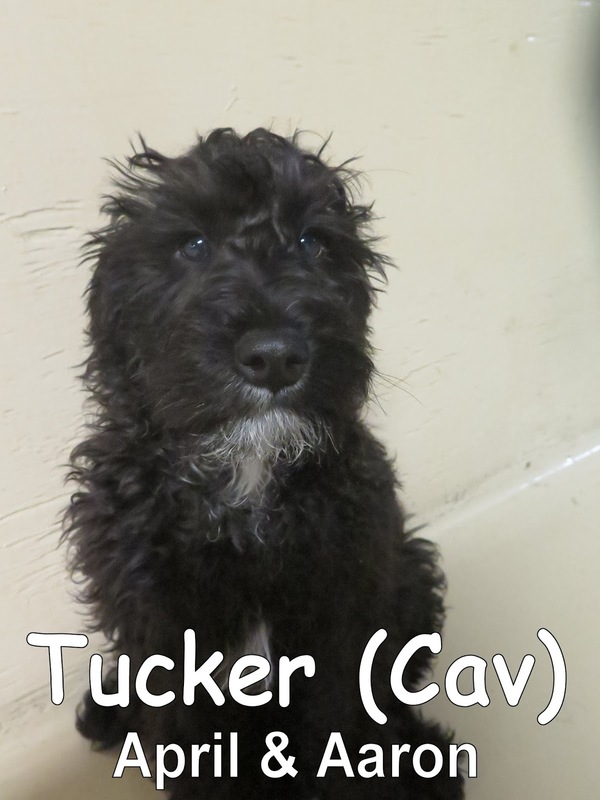 Tucker is a 4 month-old schnoodle (that's Schnauzer & Poodle mix), not to be confused with schnitzel (lol). Tucker is a happy little pup whom is just beginning to learn how to play fair and socialize. We found him to be a quick-study. We hope to see Tucker again soon. 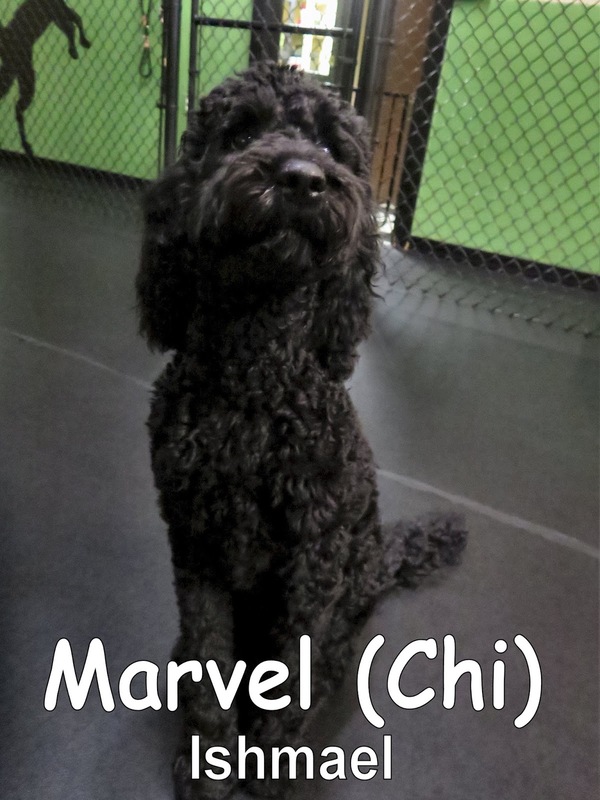 This is the correct Marvel, the 35 lbs., 7 month-old, Golden Retriever, Labrador, & Poodle mix. 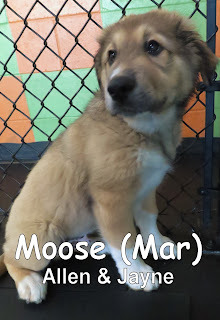 He began in our Large Dog Program today. Marvel went about sniffing and exploring The Fort, getting to know his surroundings. It took him a few, however he slowly but surely figured out that Fort Fido is a place that he can relax and make friends at. After beginning to relax and fit in, it was time for Marvel to head home to await their next visit. We are looking forward to seeing Marvel return to make more friends. 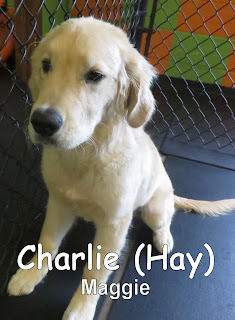 Charlie came into the Fort bright and early this morning for his assessment. 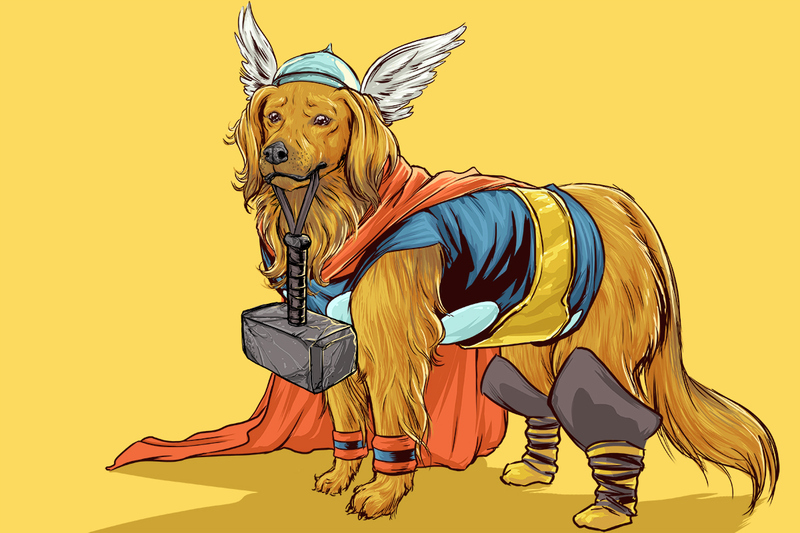 He is a five-month-old, thirty-six-pound, Golden Retriever. He joined our Medium Dog Program where he quickly made new friends. 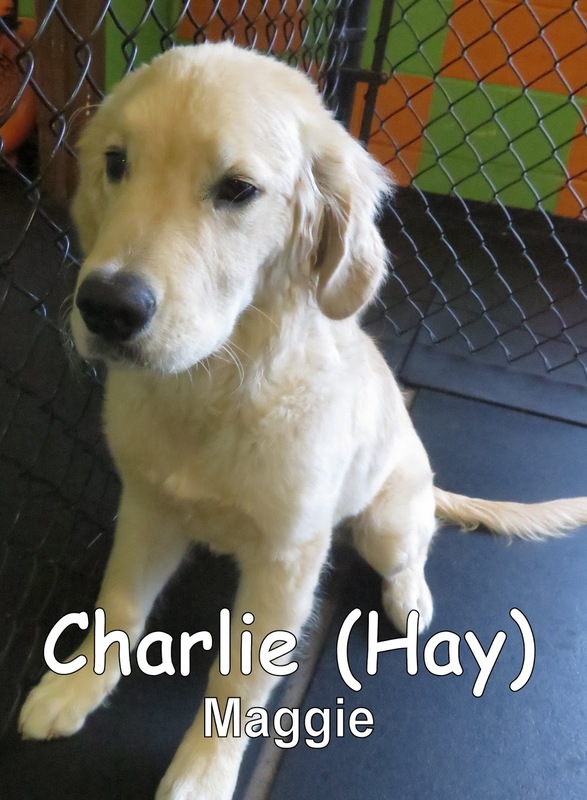 Charlie played well with the other dogs and is welcome back anytime. Good job today Charlie! Yesterday, this handsome duo joined the Medium Dog Program here at Fort Fido. First we have Duke, a two-year-old, forty-pound, Boston Terrier. He enjoyed mingling with the other dogs and exploring his new surroundings. 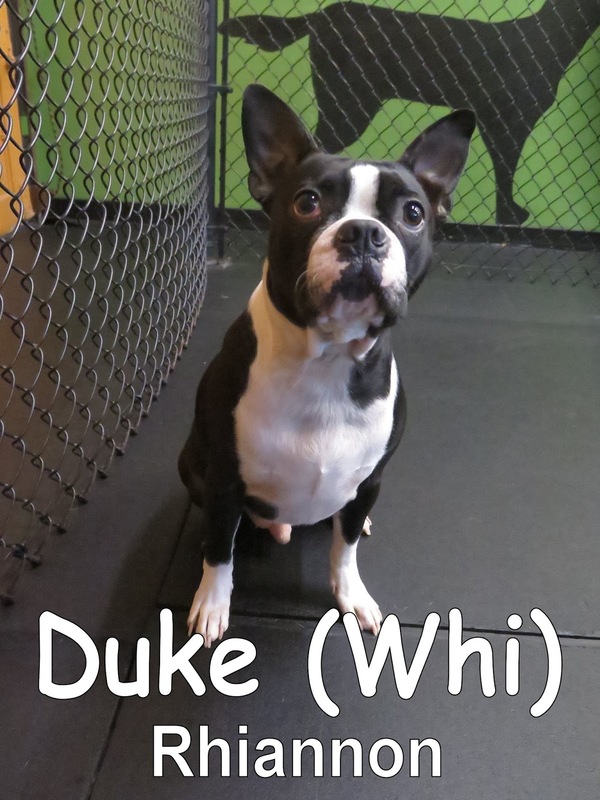 Next up is Duke's younger brother Scout. 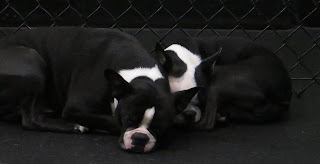 He is a one-year-old, twenty-pound, Boston Terrier. 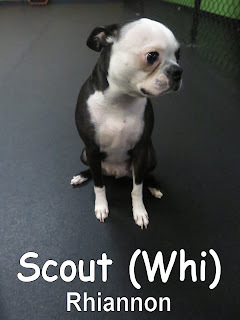 Scout was the more adventurous of the pair, and wanted to play with every dog he met. He really enjoyed playing with Frankie and Zeus. They are both welcome back anytime, and we look forward to seeing them again soon. As Summer's approaching, our temperatures are rising. You know what that means? Water play! Here at Fort Fido, we try to make your dogs stay as fun, entertaining, and relaxing as possible. One of our favorite activities to do in the hotter months is our pool parties. During a typical hot, Washington summer day, we like to put little kiddie pools in the middle of each roll and fill it up just enough for your pups to get their paws wet. Some of them love to dig, stand, or even roll around in the water; it's quite entertaining to watch. To keep the "slow motion theme" check out these other cool videos that I thought you might enjoy. Anyhow, that's all I have to share tonight. I'm looking forward to our water play and i'm sure your pups are as well. Have a good rest of your evening. Yesterday we had the pleasure of meeting Mizu. She is a two-year-old, eighteen-pound, Shiba Inu. Mizu joined the Medium Dog Program here at the Fort, where she enjoyed playing and mingling with the other dogs. 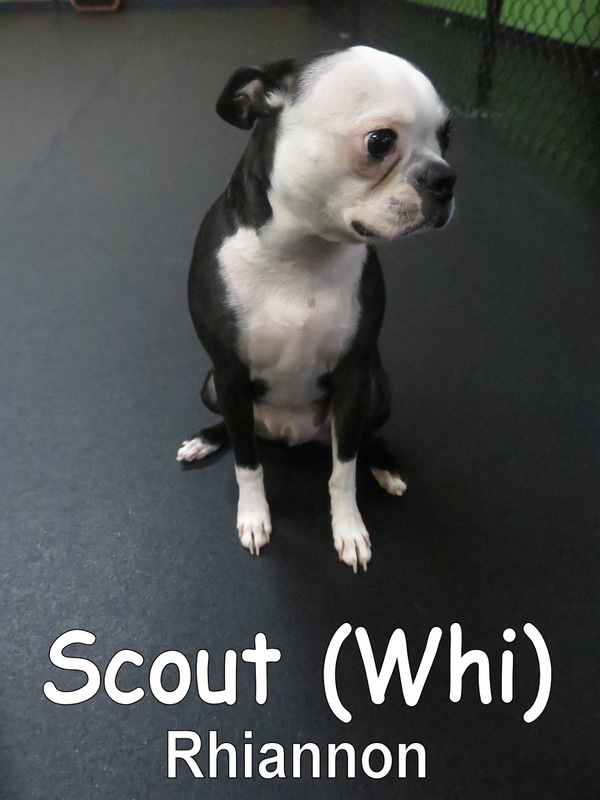 Winnie was the first dog that Mizu met yesterday, and the two of them quickly became good friends. 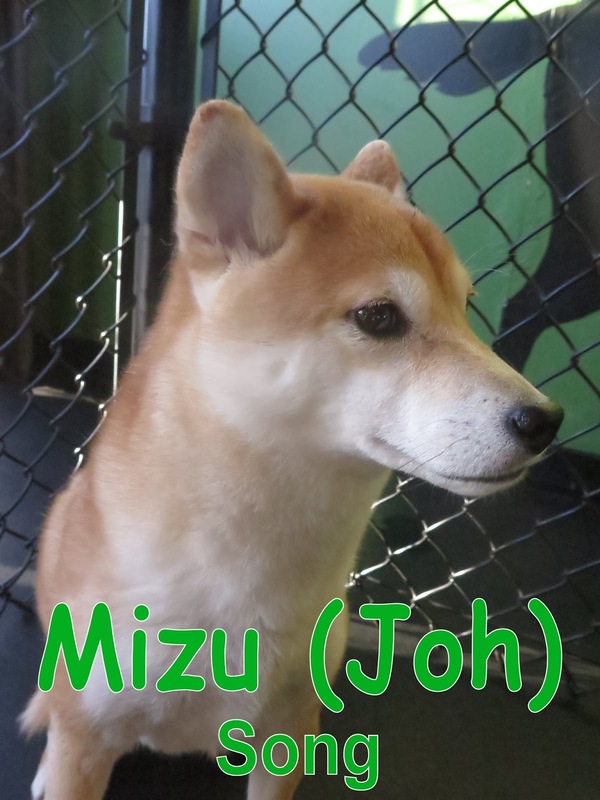 Mizu had a great first day, and we look forward to seeing her again soon. Our first Egyptian Pharaoh Hound came and joined The Fort on Tuesday. Moon is 1 year old and weighs 38 pounds. She did exceptionally well on her first day and hit it off with one of our regulars, Max . We were able to capture Moon and Max playing as they galloped around our large roll, looking majestic as can be. 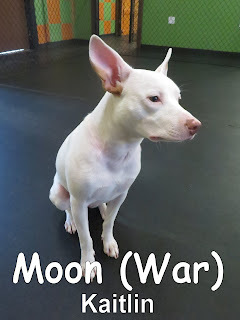 One of the first things we noticed about Moon was her super tall, pointy ears. Did you know that Egyptian Pharaoh's ears are all natural? There is no clipping involved like other breeds such as the Doberman Pinscher.Sometimes breeders will use tape to help hold up a floppy ear when the puppy matures. 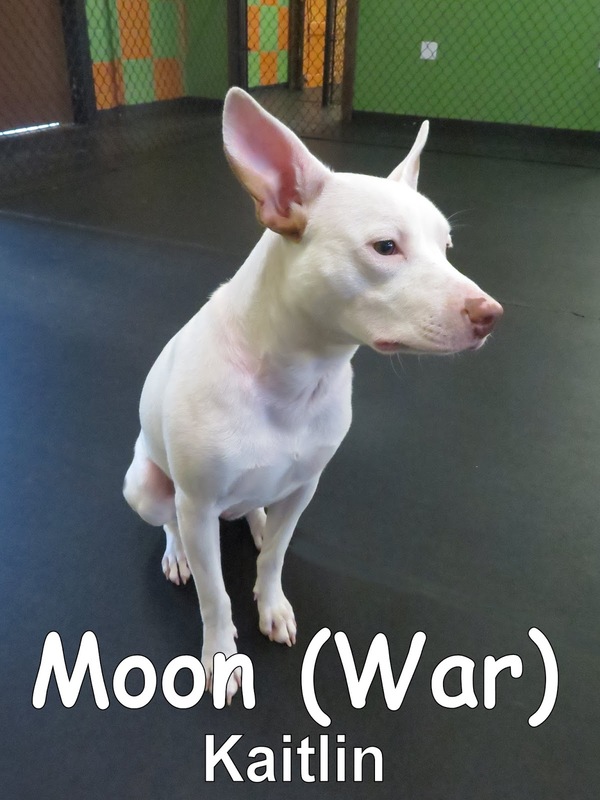 Take a look at the clip below to see Moon playing with her new buddy. 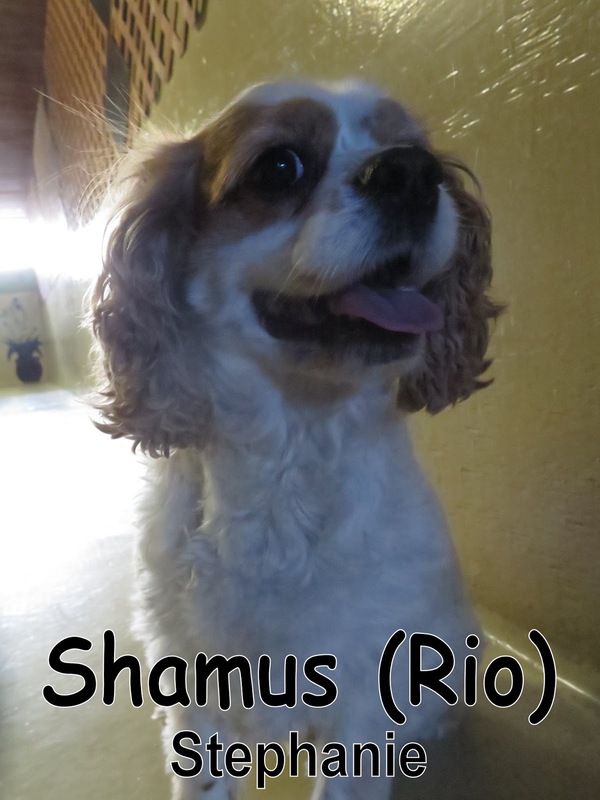 Check out this cutie, Shamus. Shamus came in this morning bright and early, ready to see what The Fort is all about, and meet his new daycare buddies in our Small Dog Program. He is an eight year old, twenty-one pound King Charles Spaniel. Once it was time for us to start throwing our balls around with the pups, Shamus got very curious and instantly went over to inspect these new, exciting toys. Moon and Shamus are both welcome to come back any time they want. I hope you all are enjoying this beautiful weather, because I sure am! We were able to snag some awesome pictures, take a gander below! 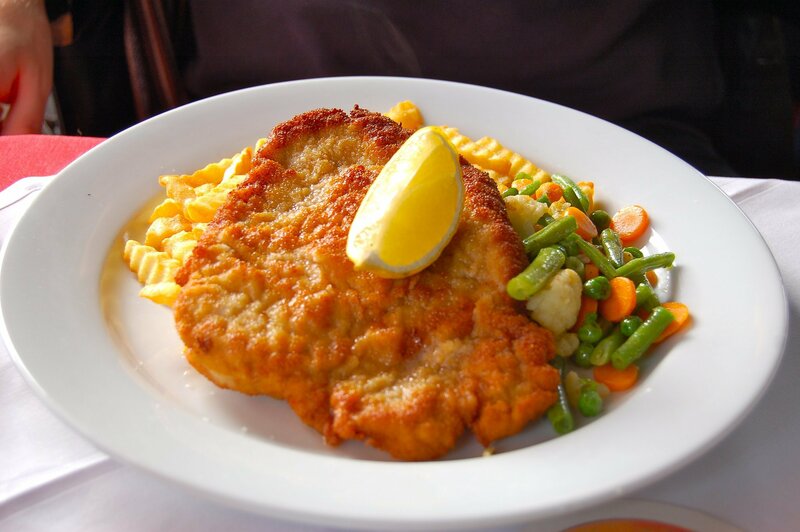 We hope you enjoyed the pictures! This morning we had the pleasure of meeting Buddy. 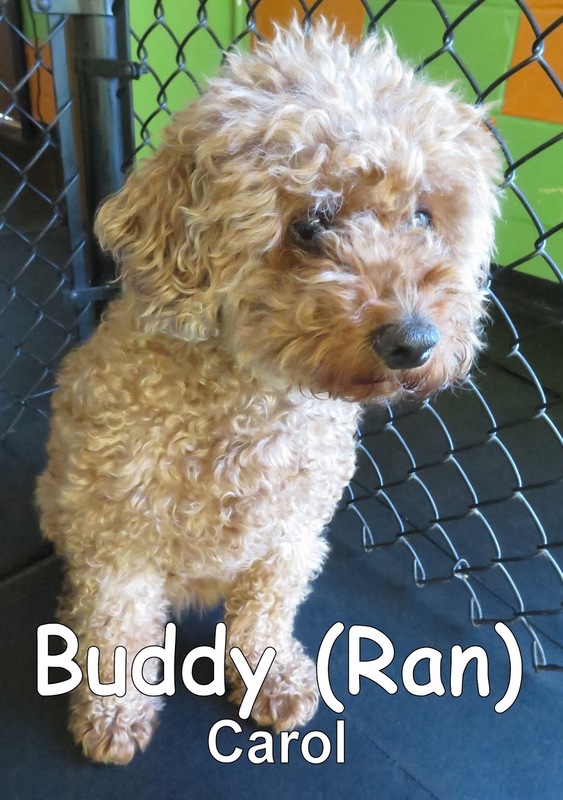 He is an eight-year-old, twenty-four-pound, Poodle/Spaniel mix. Buddy joined our Medium Dog Program and thoroughly enjoyed his first day here at the Fort. He made a lot of new friends, and especially like playing with Cooper. He did a great job today and is welcome back anytime. We hope to see you again soon Buddy! Yesterday we assessed this cute pair. 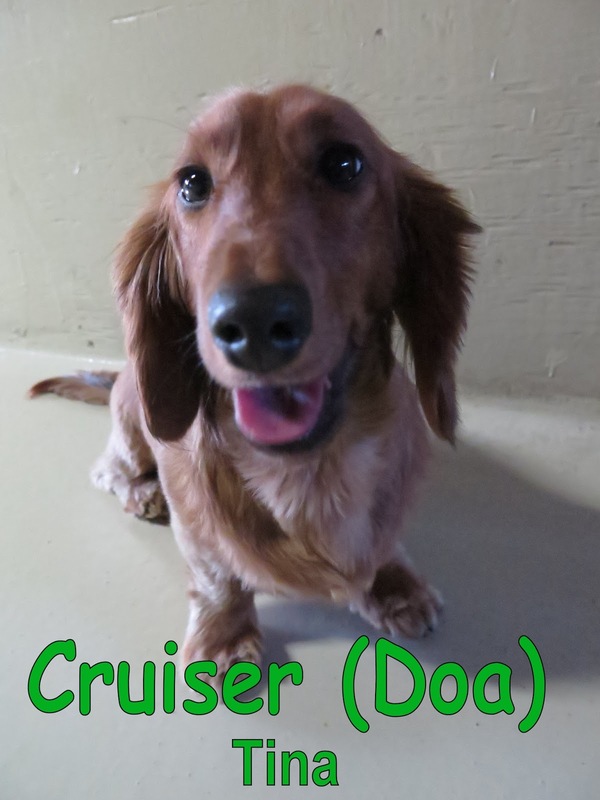 First up is Cruiser, he is a one-year-old, fifteen-pound, Miniature Dachshund. Next we have Fritz, he is a two-year-old, twelve-pound, Miniature Dachshund. 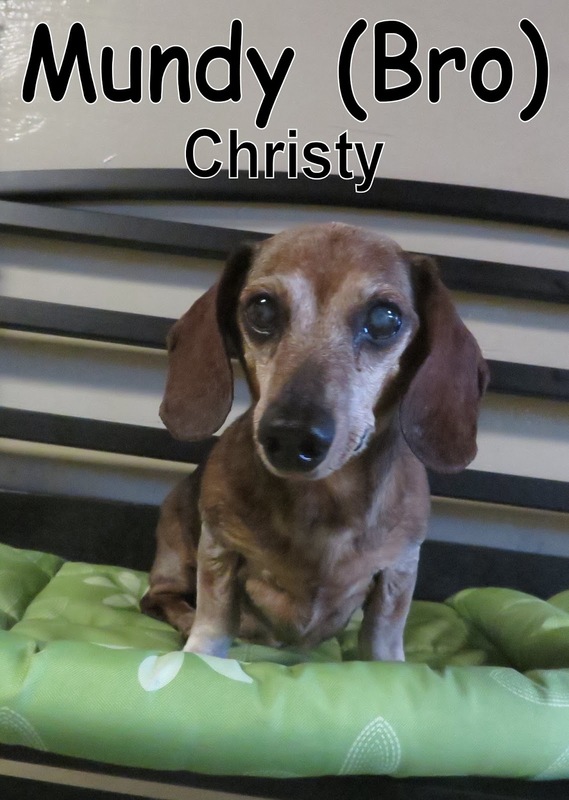 They both joined our Small Dog Program where they spent the morning mingling with the other dogs. They are both welcome back anytime. 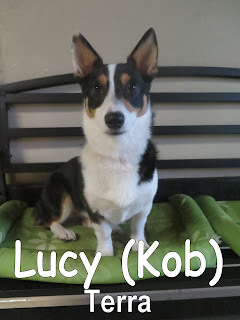 Last but not least, we have Lucy, who assessed on Tuesday. She is a nine-month-old, nineteen-pound, Corgi. Lucy joined our Small Dog Program and didn't waste any time before she began playing with the other dogs. Once she met Omi the two of them were inseparable. She had a great first day and is welcome back anytime. Just like last Wednesday, we welcomed another Zoey into The Fort this morning. Zoey is a Standard Poodle puppy that weighs only twelve pounds, and just turned ten weeks old. She arrived here very curious, but also a little shy at first. With time and more play dates, we can tell that Zoey will feel right at home once she gets more used to the place. 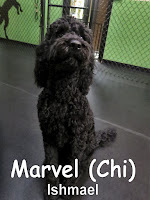 Daycare is a great place for puppies to learn the basics of "dog speak," and proper canine social skills. It's also an excellent source of socialization for them. 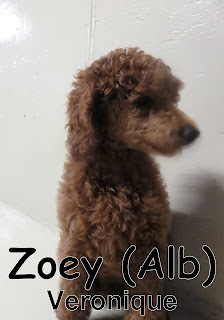 Zoey plans on attending daycare regularly so we are sure that she will become a doggie daycare champion in no time! Thanks for choosing us Zoey! We look forward to watching you blossom and grow up here. Today we said good morning to the beautiful Harlow. 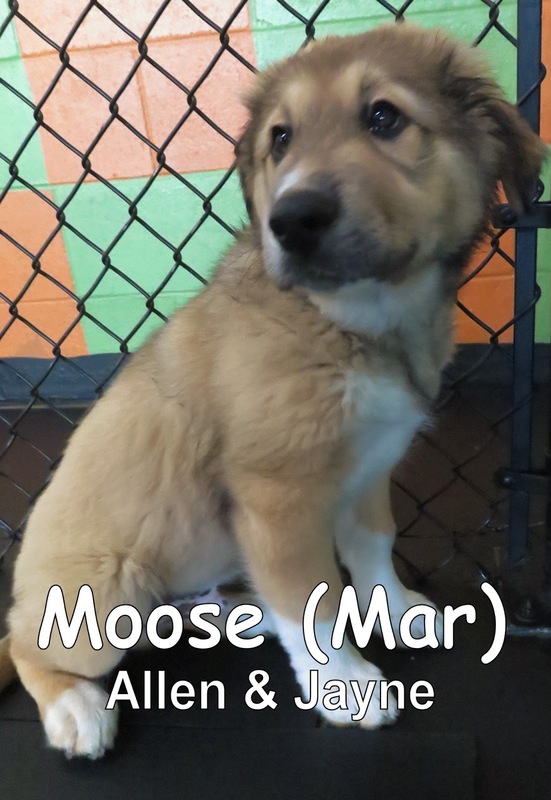 Harlow is a 1 1/2 year-old, 33 lbs., Lab mix. 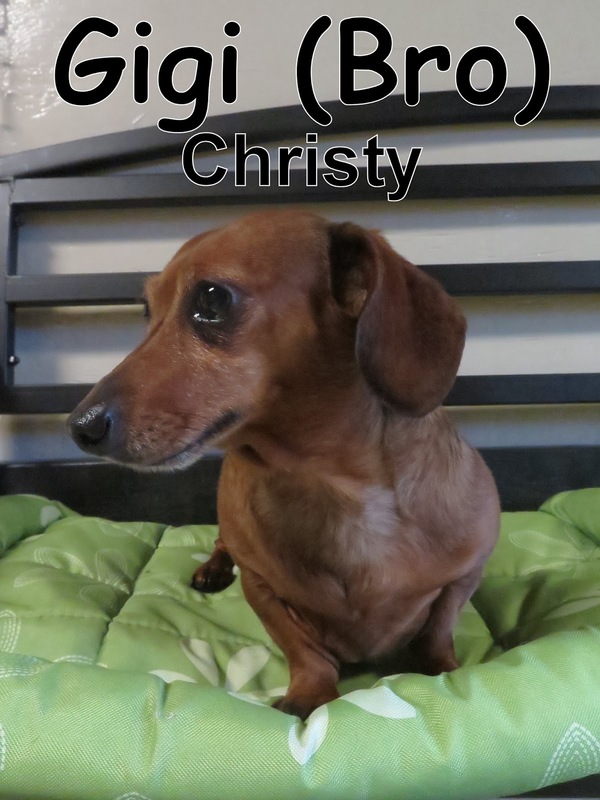 She came into our Medium Dog Program and began to meet the others as they arrived. 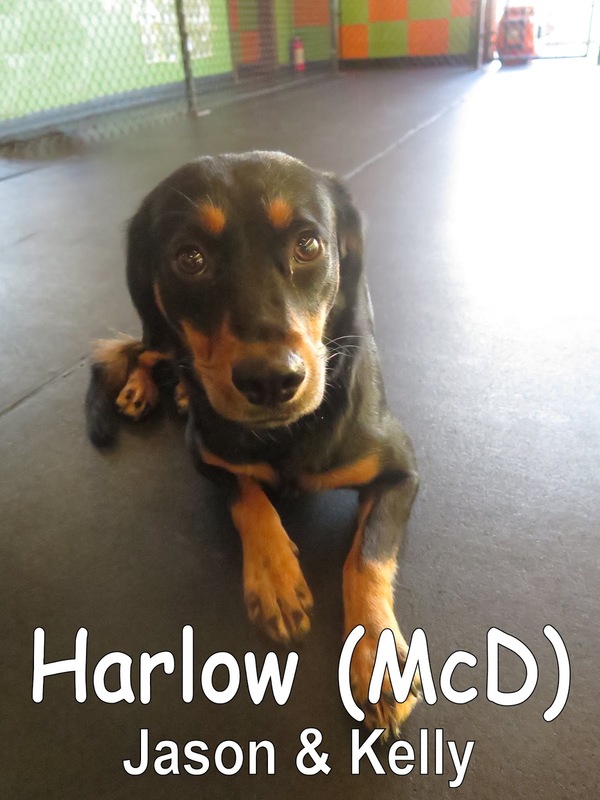 Throughout her time here, Harlow learned that Fort Fido is a place she can relax and mingle about with other pups. 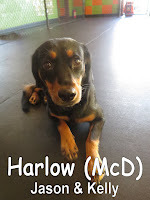 We hope to see Harlow return to make many friends and have lots of fun soon!